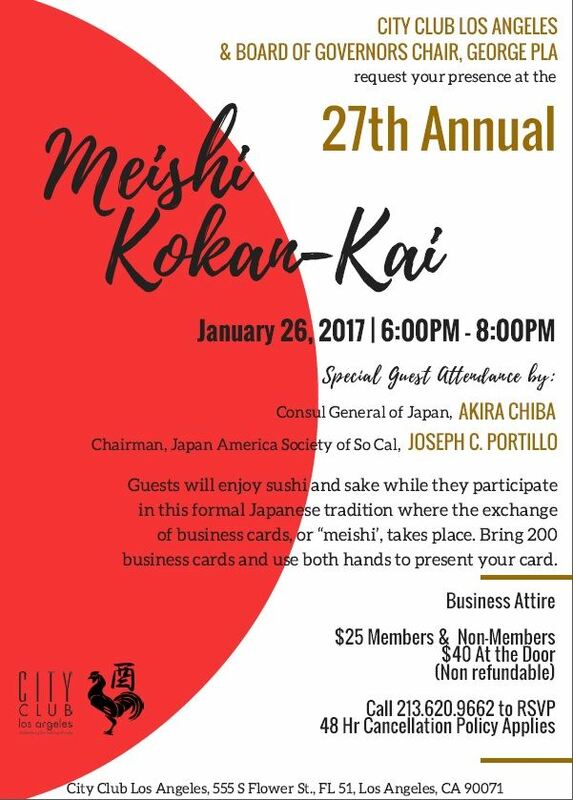 Guests will enjoy sushi and sake while they participate in this formal Japanese tradition where they exchange of business cards, or "meishi" takes place. Bring 200 business cards, and use both hands to present your card. Purchase tickets online, or call the City Club Los Angeles at 213-620-9662 to RSVP. 48 hour cancellation policy applies.